NEMA rating is used in building enclosures that requires specific features to withstand certain applications and environmental factors such as: rain and ice. These applications can also result to corrosions and contaminates such as dust that may bring harmful effects on the electrical equipments. However, if unsure on which electrical enclosure type you should have for your project, refer to the decision flow chart below. 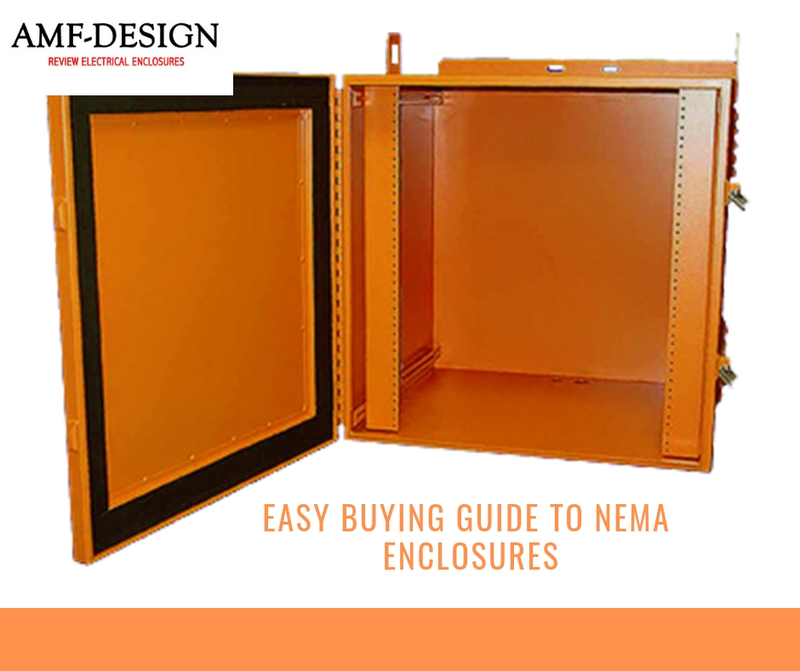 It will effectively assist you in determining the right NEMA rating for a certain electrical enclosure. Type 1: This enclosure serves as most general NEMA type applicable for any indoor use. It provides basic protection against dust, light, and indirect water or hose splashing. However, it is not dust-tight. Type 1 electrical enclosure only gives protection for personnel incidental contact form the electrical equipment. Type 3R: Specially designed for any applications that requires outdoor use. It gives a degree of protection against rain ingress and possible ice formation when exposed to harsh and extreme climates. It is supported and constructed with knockouts from sides to bottom. It gives protection from beating rain that can hamper successful operation of any electrical apparatus. This intervention can result by jeopardising the performance of electrical equipments because of wet live parts. It is important to note that Type 3R enclosures are not rain-tight. Meaning there is a possibility rain water can ingress when exposed to beating rains under specific conditions. In addition to this, exposure to this kind of environment makes electrical equipments exposed to entrance of moisture. Type 3R does not have a gasketed sealing surface that helps in prevention of water ingress. Type 4: This type is considered to be a weatherproof enclosure. It can be used in both indoor and outdoor applications and it provides a degree of protection against ingress of foreign objects, rainwater, sleet, formation of snow. It can also give protection from windblown dust, and water ingress from splashing or hose-directed water. In addition to this, when exposed to low temperature environments, Type 4 enclosures can prevent ice formation. This is the ideal enclosure to have when there is a need for applications in harsh environments. It can be powder coated using carbon steel and available in various sizes. Type 4X: Almost identical to Type 4 but there is a one special unique difference – Type 4X is made from corrosion-resistant material. This enclosure can also provide all the protection Type 4 provides but it can also protect your equipment from corrosion resistance. Any application that requires exposure to corrosive agents calls for use of Type 4X electrical enclosures. It is available in variety of materials but the most common are stainless steel and aluminum. Type 12: This type of enclosure are primarily intended for indoor industrial uses such as manufacturing and machining operations. It is constructed without knockouts and is used to provide a certain level of protection for personnel from having access to dangerous or hazardous parts. It can also provide a certain level of protection for the electrical equipment against ingress of solid and foreign materials such as falling dirt, windblown dust, lint, fibers, and fyings. Aside from these, it also gives protection from ingress of water dripping or hose-directed water. It has gasketed doors which makes it best in protecting electrical equipments from airborne contaminants. Gasketed doors can also provide protection from non-pressurized water and oil ingress. Type 12 can be manufactured using stainless and carbon steel.